“Freedom From Facebook,” a left-wing anti-Facebook group, protested the social media hearing in front of the House Judiciary Committee, Tuesday, with anti-Facebook signs. The signs featured Facebook CEO Mark Zuckerberg and COO Sheryl Sandberg as an octopus wrapped around the Earth. 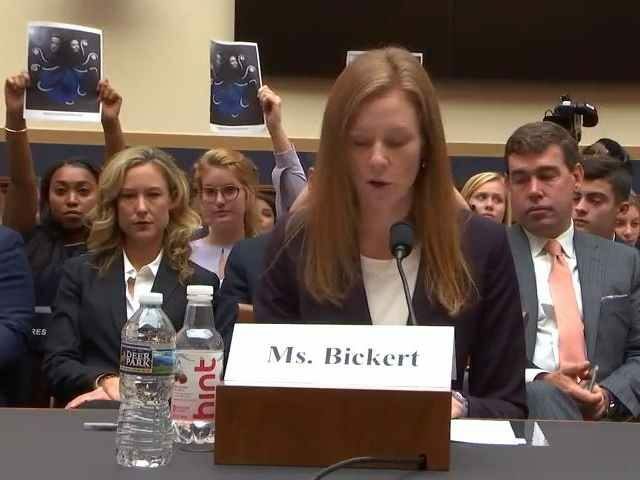 At least four activists held up the signs while the social media giant’s Head of Global Policy Management, Monika Bickert, delivered her testimony before they were ordered to stop and subsequently left the hearing. The group has previously petitioned the platform to ban InfoWars.